Proof of learning rests in the developed mind and heart of the student, not in a test or grade. As the digital age matures and the demand for new skills and competencies grows, how we measure what students know and what they do with that knowledge needs to change. One tool students and educators are using is bulb Digital Portfolios. Purpose-built for education, a bulb digital portfolio will bring to life the often-invisible soft skills, such as critical thinking, collaboration, solving problems and self-organising. Here are 12 reasons why you should consider integrating bulb Digital Portfolios into your lessons. They improve student performance and learning retention. Several studies, compiled by Clive Thompson in his groundbreaking article in Wired magazine, demonstrate the ‘audience effect’: the idea that publishing and sharing work boosts academic performance and learning retention. They give students grit. The use of digital portfolios results in higher GPA scores, higher passing rates, higher retention across semesters and higher graduation rates. They help answer the paramount questions, ‘Who am I?’ and ‘How do I Iearn?’Advancing higher order thinking and integrative learning, the connective nature of the digital portfolio helps students to construct purposeful identities as learners. They help students make meaningful connections. 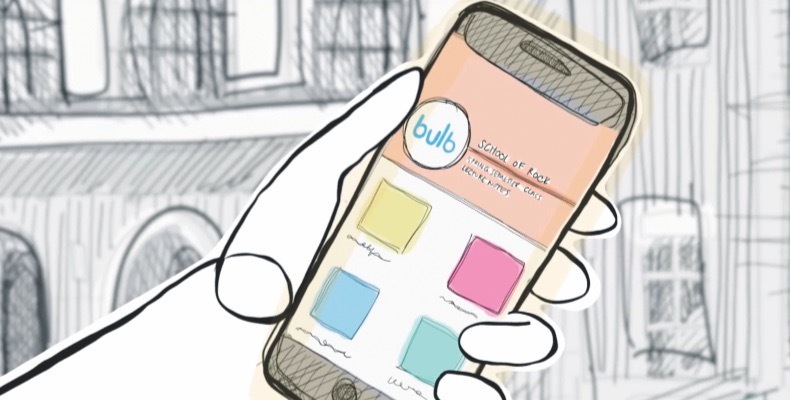 bulb Digital Portfolios helps students make connections across curricular, co-curricular and experiential learning and communicate those connections in a meaningful way. They give students and teachers ‘the long view’. A longitudinal view of a learner’s work paints a picture of growth, progress and continuity over time. The learner can collect, select and compile a record of work. They teach the skills to succeed in today’s world. bulb Digital Portfolios effectively and naturally incorporates into course work the employability skills necessary to survive in today’s world. Digital portfolios help students develop a digital identity. Building a portfolio encourages students to reflect on and craft a compelling narrative based on their values, beliefs and experiences. They open the door to metacognitive learning. A portfolio empowers students to build upon the processes and strategies that contribute to their learning and helps them learn from their successes and failures. They create an opportunity for reflection. bulb Digital Portfolios drive the practice of reflection. Students build advanced higher order thinking and develop their identities. They facilitate the transition from being a digital consumer to a digital contributor. Being able to collect meaningful learning artifacts and make thoughtful decisions about what to share, students build mindfulness and global perspective. They provide opportunities for expansive learning. Tracking learning over months or years creates a limitless learning arc where progress is easily perceived. Digital portfolio initiatives catalyse learning-centered institutional change. Focusing attention on student learning prompts connections, encourages cooperation and helps the institution move towards becoming a truer learning organization. Digital portfolios are not only the foundation of a student’s continuing education and employability but an integral component of classroom instruction, right here and right now.